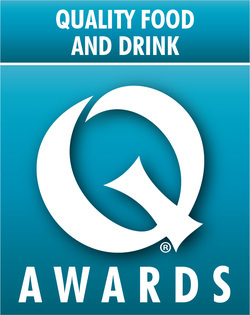 The Quality Food and Drink Awards are renowned throughout the industry for their rigorous and stringent judging process. The 400-strong panel is comprised of respected food and drink experts to bring the widest pool of knowledge possible to the judging sessions, a long-standing and highly regarded tradition which sets the Quality Food and Drink Awards apart. We believe there’s only one way to judge a product – ask an expert. This year we will return to the University of West London for the judging sessions with a brand new kitchen team headed up by Bridget Colvin. The commercial kitchens, with their large stores area and plentiful fridges and freezers, help the process run smoothly under the watchful eye of our home economists. At the end of each category, the panel decides on the finalists for this category. This creates the shortlist; from this the panel deliberates further to decide the category winning product. After all category winners have been selected a judging panel reconvenes to award the Gold Q. This award symbolises the product which the panel agree is truly outstanding and worthy of the ultimate accolade. These awards are highly regarded throughout the industry for the balance and integrity of the results and, naturally, the ambition of everyone who enters is to win. But we are also aware that suppliers whose entries do not make the shortlist are interested in where they fell short of progressing to the final stages. With this in mind, a huge benefit of entering the Quality Food and Drink Awards is the feedback you receive from the judging panel for every product entered. Your feedback will address how the product meets and satisfies the specific criteria, to aid in product development. Please Note: judges’ feedback will not be available until after the awards ceremony on November 22nd and will be emailed to the contact provided at entry.